1. 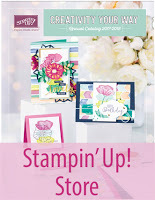 USE HOST CODE: P94G4HZE to place your order in My Stampin’ Up Store (orders over $150* do NOT use host code. You will still get the BONUS stamp sets). 2. 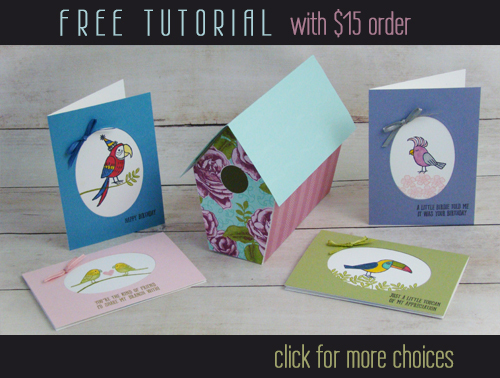 PICK your Sale-a-bration Choices (from Stampin’ Up at time of placing the order). 5. 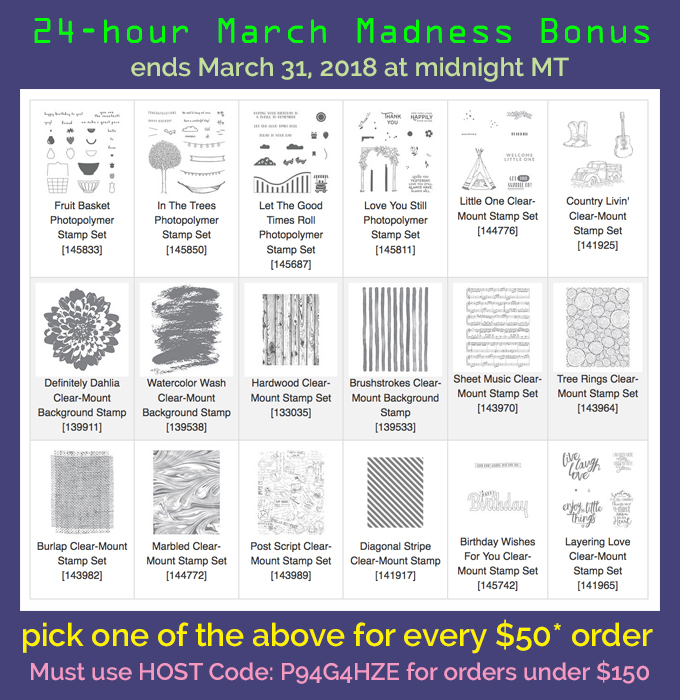 In addition, if you have orders totaling $75* or more for the month of March, you will receive my host code gift of the month, a roll of the White Organza (one host code gift per month. Ribbon will be mailed separately mid-April).